(Resolve Sustainable Solutions) sent to us. 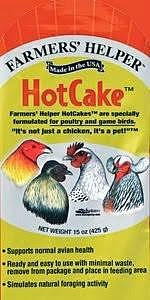 We are excited to try all the new products, but the Hot Cakes have been a staple here for several years already. Our girls, (and Chachi) are able to devour one of these in just a single day! I usually put these in on days where they will not have much free-range time, and will need a distraction. Not only does this help keep birds from picking on each other because they have something fun to do, but it also is filled with things that are good for them. The additional protein, at 8.9%, is another wonderful addition to help birds who are experiencing some aggressions toward each other. It would also be great to put in the coop when you are introducing new members to your flock. 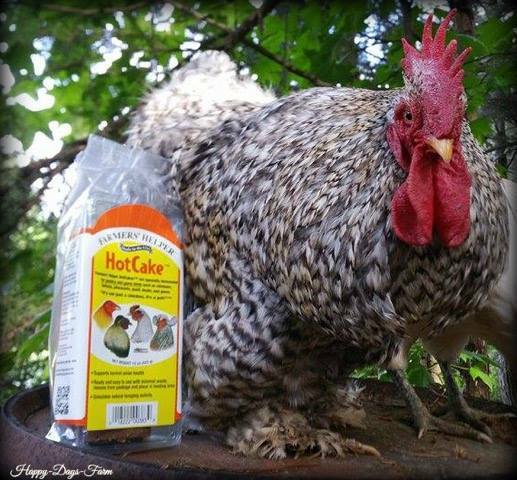 Plus, additional protein is great to help chickens who are molting. 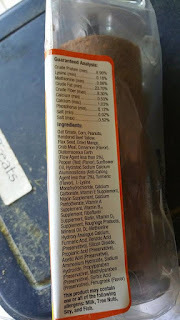 I was also very pleasantly surprised to see the addition of Diatomaceous Earth in the ingredients list! DE Powder, has many great qualities, including its ability to act as a de-worming agent . While there is not enough of it in this product to claim it a de-wormer, I was very happy to see a company doing its research and choosing this ingredient as the ‘flow agent’ rather than a chemical. 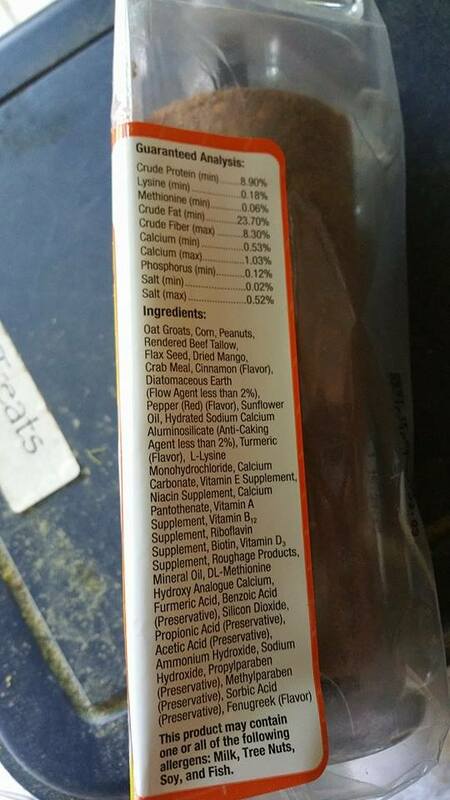 The additional calcium that is added is great for our hens, and it is full of vitamins, flax seed, crab meal, peanuts, mango, cinnamon, oat groats, and so much more. This is just an overall great product to enhance the health of your flock.